The Droughtlander is over! Outlander returns the Starz for its fourth season, adapting Diana Gabaldon’s novel, Drums of Autumn. The story begins and ends with a brutal killing (though, fortunately, the middle bits are blood-free). It seems that crossing an ocean to a brave new world has not changed the characters’ penchant for becoming embroiled in violence. 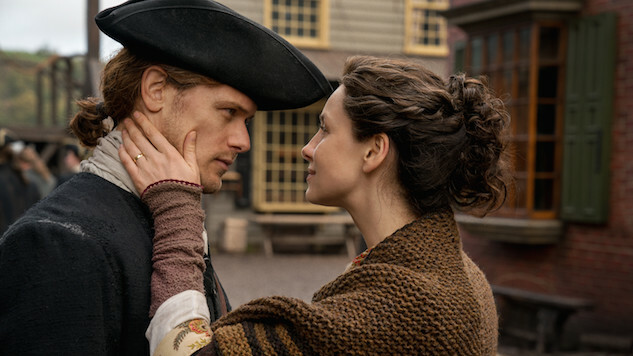 Set in Charleston—or Outlander’s version thereof—this week’s episode, “America the Beautiful,” starts off the season with a mostly clean slate for Jamie, Claire, Ian, Fergus and Marsali. While everything is new, the bonds of love and family remain, and that is the essence of this first installment. Everything changes, but love is reliable.